The Essa Stallions are proud to announce the signing of a familiar face during the 2018 Presidents Cup run....Liam Coleman! Coleman, comes back to the Stallions after spending the first half of the season overseas, playing for the Basingstoke Buffalo in England. "Liam in our opinion is considered the best defensive forward in the league. He is heavily relied upon to check others closely and play key minutes for us. He was a big part of our championship last season, but also has the capabilities to chip in offensively when asked" said GM & Assistant Coach David Lang. "We're glad to get him back over here, and allow him to focus on hockey" added Lang. "I'm looking forward to having him back in the lineup. Love having him around the team, and being a leader. He's tough to play against, and great to play with. We're getting ready for another run, and with the addition of Liam, we're making strides in the right direction" said Head Coach Sylvain Cloutier. 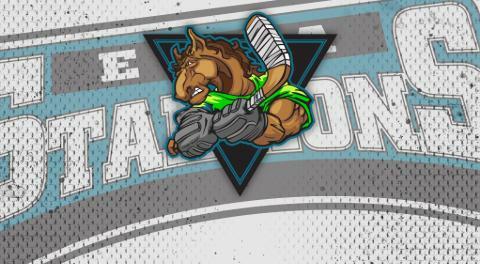 in 45 games played last season for the Stallions, Coleman tallied 16 goals & 16 assists for 32 points. Welcome back to The Herd LC !!!!!!!!!!!!!! !